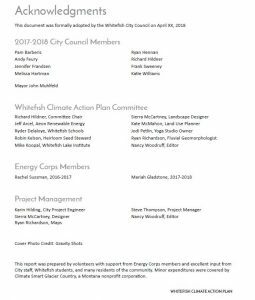 The City Council approved the Whitefish Climate Action Plan on April 16, 2018. 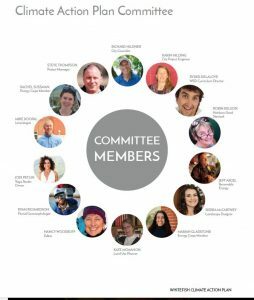 Original post: The Whitefish City Council on April 16 will hold a public hearing and vote on a motion to approve the Whitefish Climate Action Plan. The Council hosted a work session on April 2 to discuss the plan with CAP Committee members. 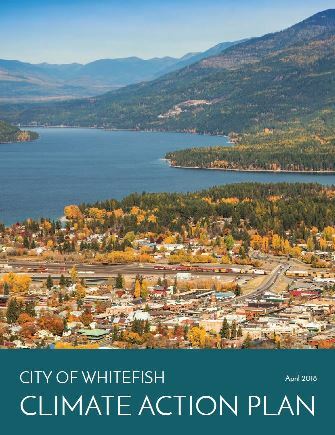 Reduce Emissions: The City of Whitefish, alongside nearly 400 U.S. cities and 195 nations, has committed to keep global average temperatures from rising more than 3.6 degrees Fahrenheit. This plan emphasizes energy efficiency, local production of clean energy, and conservation of carbon-rich forests and soil. The Whitefish Pilot ran an article April 11 about the draft Climate Action Plan. The CAP Committee will present the approved plan to the community during a public celebration on Earth Day, April 21, to coincide with the public launch of the Center for Sustainability and Entrepreneurship at Whitefish High School. Please join us!